The first night that I met Grandmother Nancy Andry, she taught me how to sing the Water Song, and for four years, I’ve been singing it almost every morning up on the hill in the grove of cedar trees above my barn. At first, it was a simple way to say thank you to Mother Earth for allowing my family and my two horses to live on a verdant, lush piece of land that backs up to a pond and 140 acres of protected forest. Gradually, I felt a change in myself, a centering where my strength and confidence was reawakened. When I heard about the Water Song from Victoria Hamburg Cummings, I immediately wanted to meet Grandmother Nancy Andry and learn the song. They came to Manhattan and held an informal teaching circle that included me and Nicole Betancourt. It became apparent to me right away that I needed to share my skills as an artist and filmmaker to help our water and affect the health of the planet by creating this video to share. With the other ‘water protectors’ who joined us, the plans were hatched in the summer of 2017. 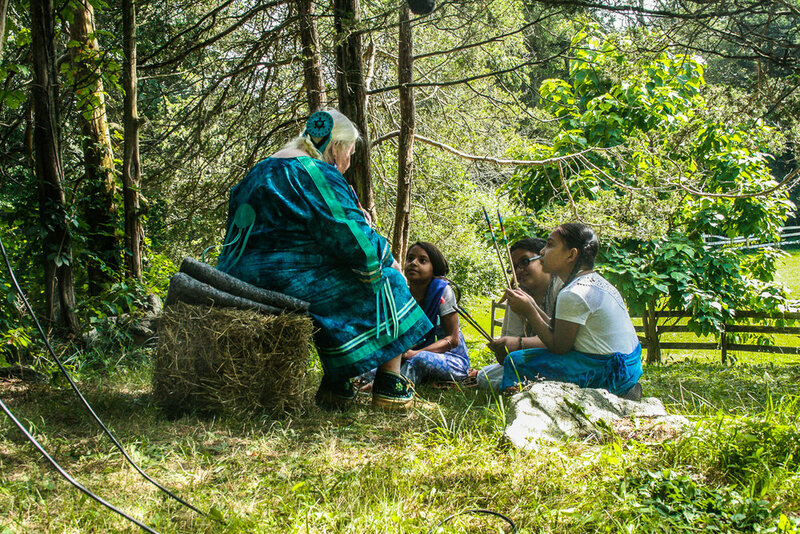 While filming and editing “Sing the Water Song,” I felt the wisdom of our ancestors and grandmothers, the water in our bodies, and the water in the earth. We hope that the song and video will awaken in women our innate, powerful connection to water – a connection that we are born with, but often forget as we grow up. Working on this project has given me a new source of energy and healing for my own chronic illness.